Focus on age-appropriate content. Avoid anything sexually suggestive, violent, vulgar, crass, controversial, or that may be easily misunderstood. Consider child safety. Always ensure that any minors in your videos feel comfortable and safe, and appear that way to viewers. Be a good role model. Think about the kind of behavior you are modeling: would you want your own family to emulate that behavior? Be original. Avoid repetitive, copycat, and sensationalist content—instead, opt for content that displays depth and originality. Keep trends family-friendly. If you tap into popular trends, keep it 100% family-friendly. Don’t assume it’s OK just because another creator does it. YouTube Kids is a filtered version of YouTube. We use a mix of automated filters, user feedback, and human review to determine which videos are eligible for the YouTube Kids app. Review our Community Guidelines to keep YouTube fun and enjoyable. Read about our efforts to protect families on YouTube. Review child safety policies on YouTube. Learn how to report inappropriate videos. Age. A 4-year old might be interested in upbeat songs led by colorful characters, while an 8-year old might be curious what’s inside an arcade machine. Learning abilities. Kids have a vast array of abilities and interests—largely influenced by their ages and stages of development. Location. The YouTube Kids audience is culturally and geographically diverse, so keep in mind how your content makes them feel welcome. Many videos on YouTube Kids get a lot of watch time from outside the U.S. Try using YouTube Analytics to figure out how to reach audiences around the world—whether by adding subtitles, including a character from another country, or setting an episode in another location. The FuZees map each episode to social-emotional topics important to their family audience. 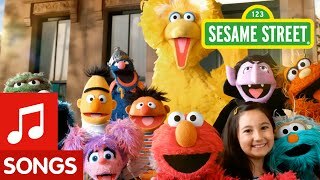 Sesame Street’s urban setting is an important part of the show’s mission to attract families from the city. YouTube Kids Search aims to surface the most relevant and popular videos and channels based on what users type in the search box (or speak into the voice search). Consider how kids might pronounce words or phrases, what is top of mind for them (popular or trendy), and try picking terms that are simple to say. YouTube Kids Search. Try typing in a few characters in the search box of YouTube Kids and see what shows up. YouTube Analytics. Monitor “YouTube Search” in YouTube Analytics to understand which search terms drive viewership to your content. Consider adding the most relevant search terms to new videos. 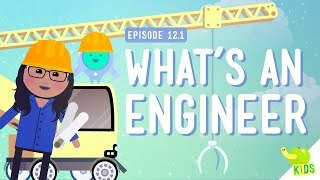 YouTube Kids has search techniques adapted to kids' way of phrasing requests in voice search. Just like YouTube, the YouTube Kids app uses rich metadata to properly index and surface videos. Because app viewers usually come from a mobile device, keep the following ideas in mind. Thumbnails. Thumbnails are one of the most decisive elements for kids when choosing to watch content. YouTube Kids is a highly visual app designed for kids of all reading abilities. Creating descriptive, compelling graphics can help your videos stand out. Titles. Pick a title that is an accurate description of the video’s content, with recognizable and frequently searched keywords at the start of the title. It can help to include consistent branding such as episode numbers, the show title, or the name of the channel. Descriptions and tags. While these aren’t publicly visible in the app, they are both important sources of metadata that help power written and voice search. Try including words related to how kids would search for songs, characters, or subjects. All metadata should be an accurate reflection of the video’s content. Avoid clickbait, provocative imagery, profanity, tag-stuffing, and misleading metadata, which may cause your video to be removed (learn more). Make sure your thumbnails, titles, descriptions, and tags always accurately represent your content and adhere to our guidelines. Try including colors and faces of your most recognizable characters in thumbnails. You also can add visual indicators for topic, video length, target age, etc. Concise titles (<65 characters) can be easier to read in the app. Try adding song lyrics or video transcripts in descriptions to catch search queries. 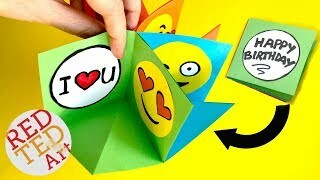 Crash Course Kids uses colourful, animated-style thumbnails with text and image descriptive elements. 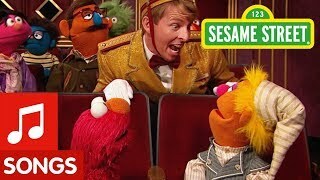 Sesame Street includes thematic watermarks in its thumbnails to help viewers decide what to watch. Text. Because mobile screens are smaller than desktop or laptop screens, text in the icon and banner can become difficult to read if the font is too small. Check to make sure these elements are clear on all devices. Colors. Consider how the channel title appears on top of the banner. Because channel names are often displayed in a light color, vibrant and high-contrast banners can really help the title pop. Vocabulary. Try being selective about the words you use, so kids can absorb your message. Note that idioms, slang, and colloquialisms can be lost in translation. Mnemonic devices. You can help viewers retain important information by making it memorable. Examples include songs, rhymes, alliteration, and repetition. Many successful creators use theme music or a bumper to help families remember their channel. Uploading a banner at 2560x1440 px can help ensure art displays properly across the app. 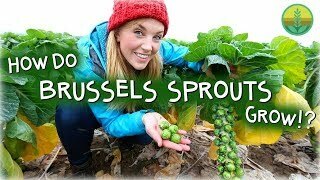 How Do Brussels Sprouts Grow? Maddie Moate covers science and nature themes in depth but with simple language. 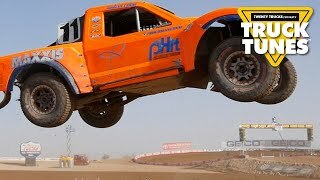 The TwentyTrucks channel uses a simple and digestible format for their content. Playlists. A playlist is an ordered list of videos that you create, allowing viewers to watch multiple videos in a predetermined order by the playlist owner. Programming your videos into a playlist can make it easier for families to find, navigate, and enjoy the videos you've thoughtfully curated into a package. Pacing. Kids consume media at a different pace than grown-ups. Avoid hyper jump-cuts; if things move too quickly, younger viewers may miss key points—and lose interest. Asking questions and pausing can give younger viewers space to think on their own. Also try mixing dialogue with music and visuals. Framing. Framing and focus can be even more critical when you’re dealing with content that is new for your viewers. Consider how you can direct the audience’s attention. Keep in mind that consistent framing of shots can make your content easier to watch. Music and sound. Audio can be a powerful way to engage younger viewers. Good background music can help set the tone and underscore emotions. Also, good sound effects can accentuate what happens on-screen. Colors. Thoughtful color palettes can help kids focus on key elements. Try using clean and consistent colors. Also be mindful that some viewers may be color-blind, so they cannot distinguish between shades of red and green. Fonts. Bigger, clearer fonts are probably best for beginning and aspiring readers. Try being careful with easily confused letters (like uppercase i and lowercase L in English). Also, certain fonts may be better to teach writing. A “Recent Uploads” section at the top can help viewers see the newest content first. You can create playlists by theme or for your “Best of” collections of videos. Videos appear in YouTube Kids later than its upload date on YouTube due to our filtering systems. If your content is missing from YouTube Kids, you can submit this form. DreamWorksTV uses pacing that is very natural, made to feel like a two-way conversation. 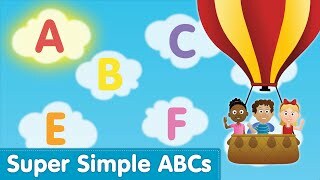 Clear colors and highlights help young viewers follow along and reinforce the letter learning. 10 Little Fishies - Featuring Baby Shark! 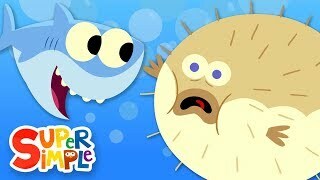 The Super Simple Songs channel uploads original music and lyrics creations for young audiences. Homemade Projector - Sick Science! Sick Science! 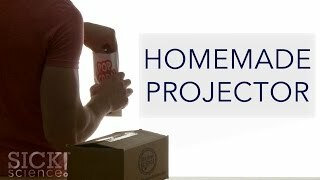 uses subtle background music while showing how to conduct a specific experiment. YouTube Kids offers a variety of content in these categories: Shows, Explore, Learning, Music. As you develop content, you can experiment with interactivity that engages your viewers. Get moving. Look for opportunities to get kids dancing, singing, and moving around—it’s good for bodies and brains. Understand what kids can do as they develop physically, and offer movement variations for family members with disabilities. Make stuff. From crafting a short story to assembling a robot, making comes in all shapes and sizes. Inspire viewers on-screen to create something magical off-screen. Check that the number and complexity of steps are age-appropriate. Promote exploration. You can inspire kids to find objects in nature—leaves, earthworms, metamorphic rocks, etc. If it’s a living thing, remind them to treat it gently. Also, encourage kids to take learning into their own hands with DIY experiments. Encourage good. Kids can help create sustainable change—starting within their own families. For example, because of well-designed media, some kids have introduced their parents to recycling. How will your content inspire kids to improve the world? A Cosmic Kids Yoga Adventure! This series combines simple yoga poses with storytelling to get families moving creatively. Maggie from RedTedArt encourages her audience to share their creations and features them in a playlist. There are many paths to creating engaging, enriching, and entertaining content that is appropriate for kids and families. We’ll share a few recommendations below. Go beyond stereotypes. Try creating unique, multidimensional characters with different backgrounds and abilities that reflect your diverse audience. Champion gender equality. By showing that girls can do anything, you’re sending a powerful message. Aim for equal female and male representation. Embrace empathy. Kids may worry about a lot of things. When characters model expected behavior, this can help kids diffuse anxiety and find solutions. In addition, kids (like adults) respond to a compelling story. Think about how you can draw viewers into your story within the first 5-15 seconds of your video. Then keep the story interesting so that viewers stay tuned in. Finally, YouTube creators often cite the importance of being consistent. Whether through your upload schedule, characters, or show formats, consistency can help you build your audience and get them to come back regularly. 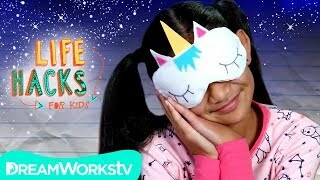 Creating content for YouTube Kids is your chance to be authentic. Add your own twist and style instead of chasing trends. When making scripted stories, think about how your favorite bedtime books hooked you from the first page to the last. The tips in this lesson are based on creative best practices. However, there’s no guarantee that your specific content will appear in YouTube Kids. 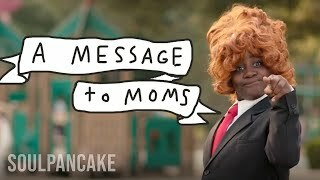 Kid President spreads a message of positivity, encouraging viewers to make the world awesome. 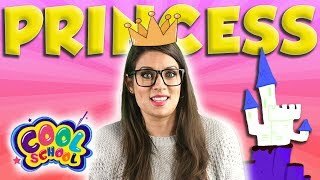 Ms. Booksy's Princess Stories & Fairy Tales! Ms. Booksy is a friendly host who introduces stories and appears in corresponding animations. Masha and The Bear videos start with a burst of sound and animation then go straight into the action. Kan & Aki’s adventures often start with a fun, attention-grabbing introduction related to the theme.